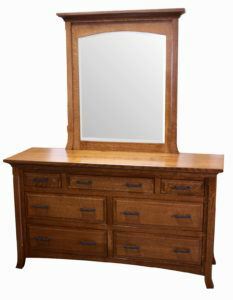 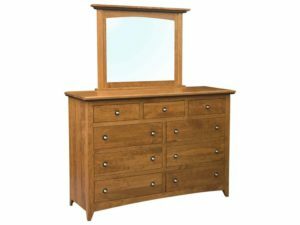 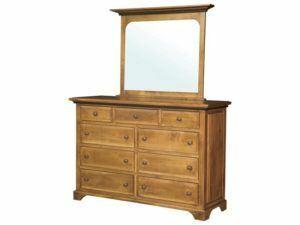 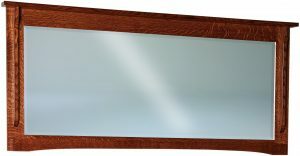 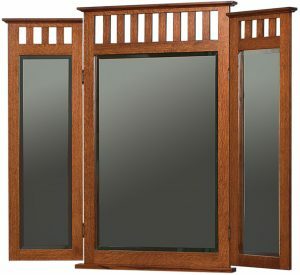 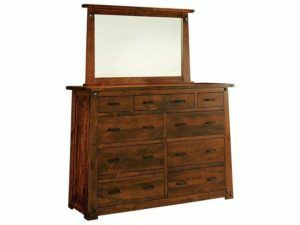 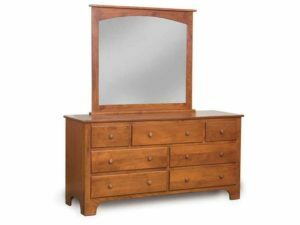 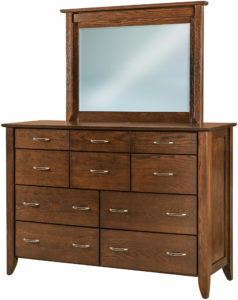 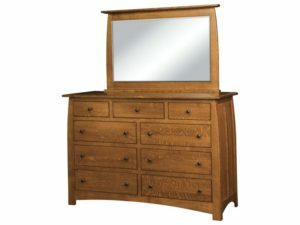 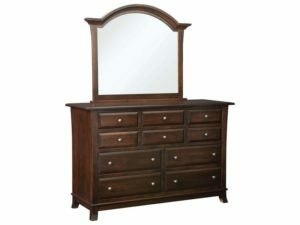 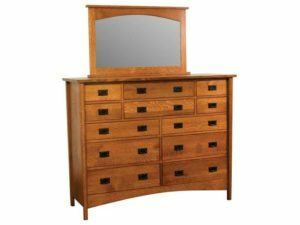 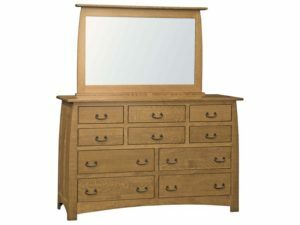 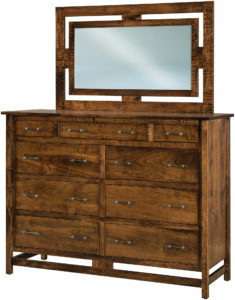 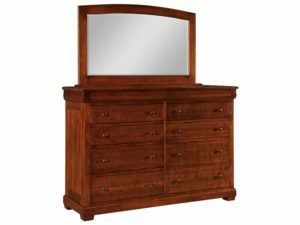 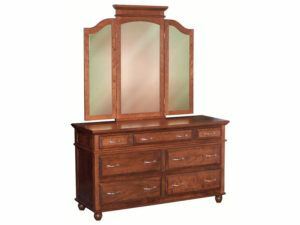 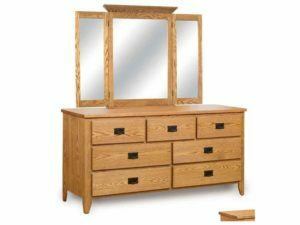 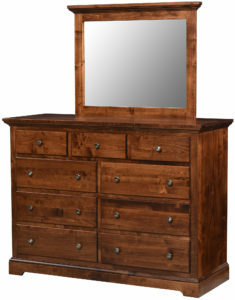 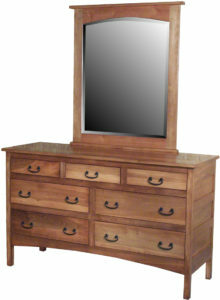 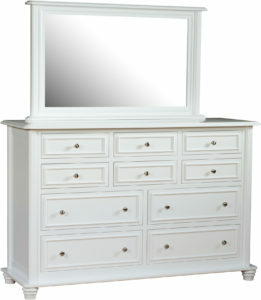 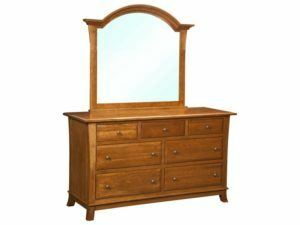 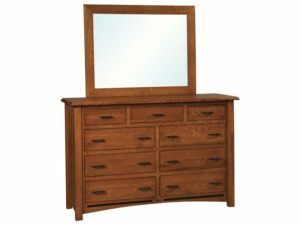 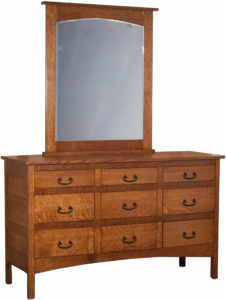 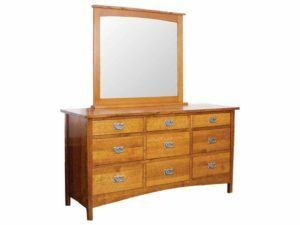 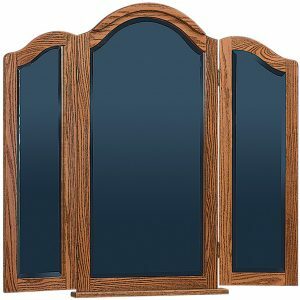 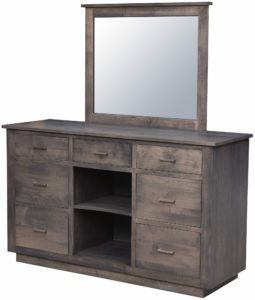 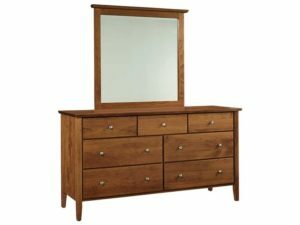 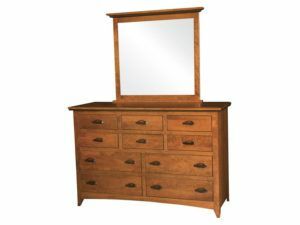 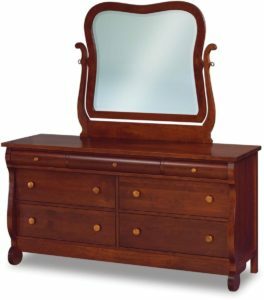 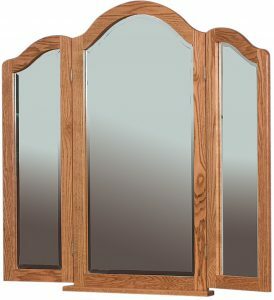 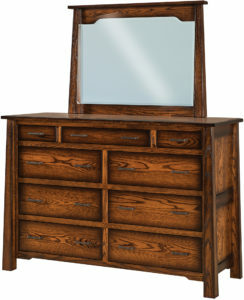 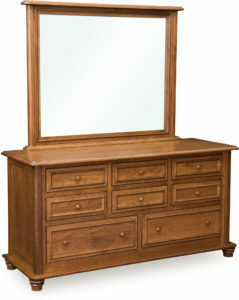 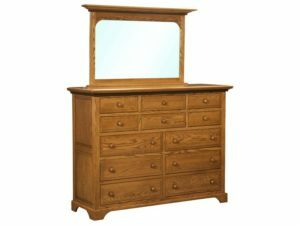 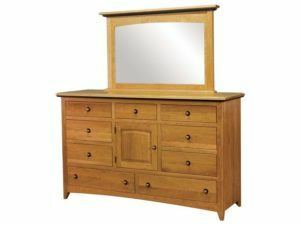 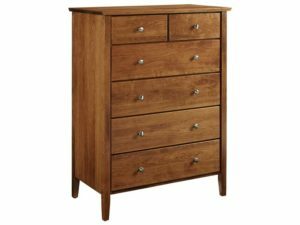 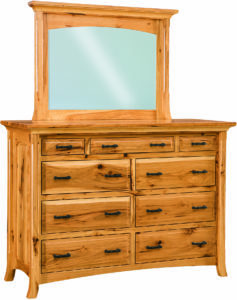 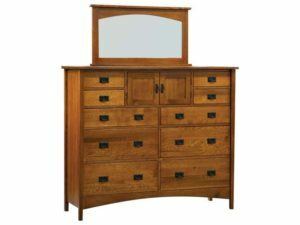 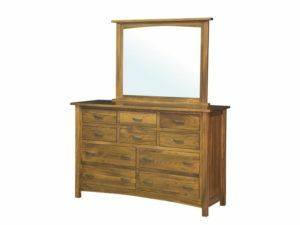 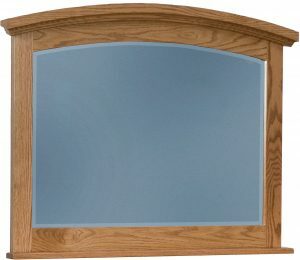 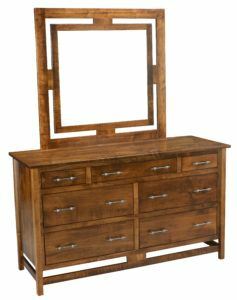 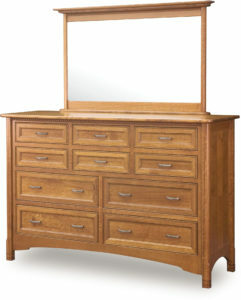 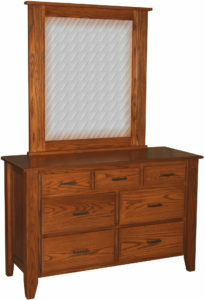 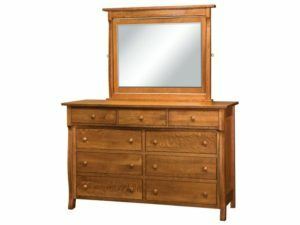 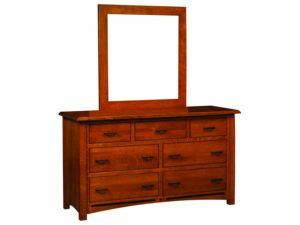 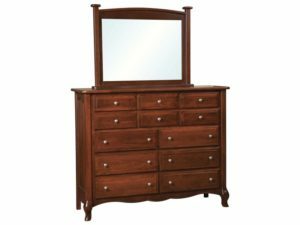 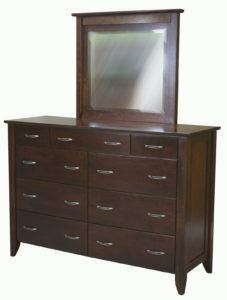 Complete your Amish dressers from Weaver Furniture Sales with the Dresser Mirrors designed exclusively to go with them. 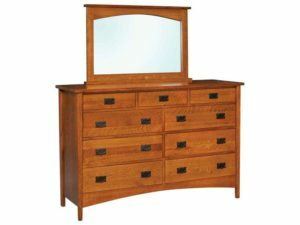 The finest Amish artisans in the Midwest craft each mirror with the same care and precision they use in building our dressers. 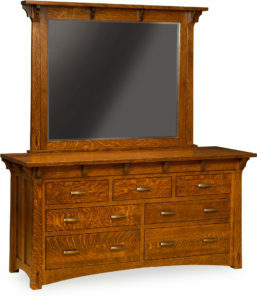 Also, the Amish men use the best available hardwoods. 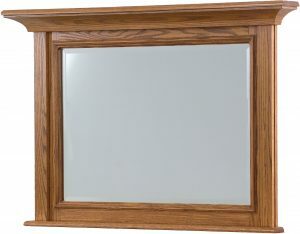 And traditional woodworking methods. 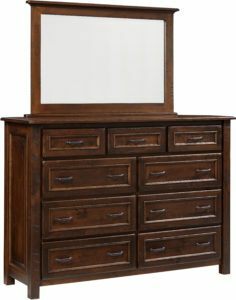 So the mirror you choose will perfectly match its dresser. 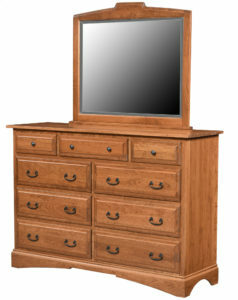 Plus, it will be incredibly durable and timelessly beautiful. 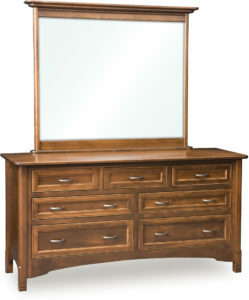 So shop online from our selection of dresser mirrors. 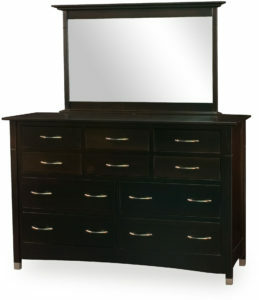 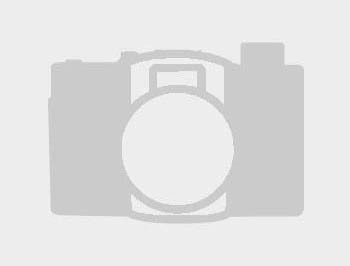 Or visit our store in Shipshewana, Indiana. 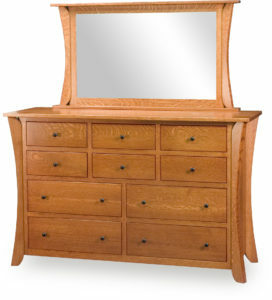 Because today’s furnishing could become a treasure for generations to come. 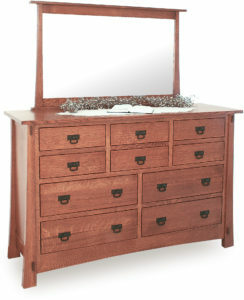 The classic Breckenridge Dresser Mirror features a shelf on top. 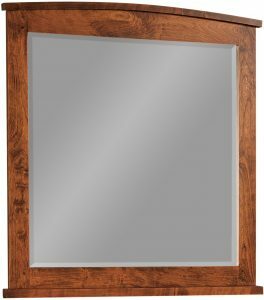 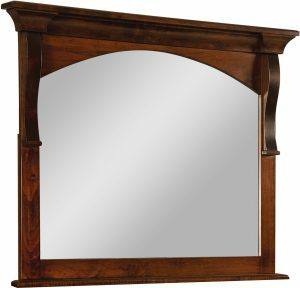 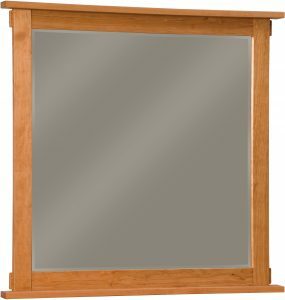 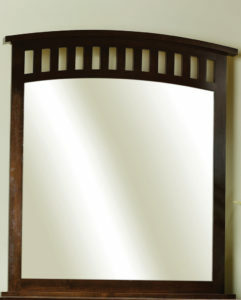 Contact Weaver Furniture Sales with any questions that you have about this Cherry Stain Mirror. 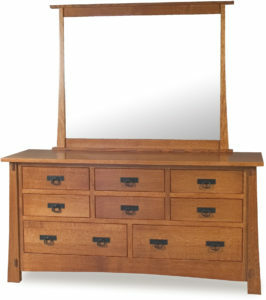 Exposed tenons highlight the sleekly-finished Bungalow Dresser Mirror. 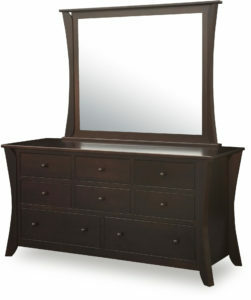 The Charleston Dresser Mirror boasts a gracefully curved crown. 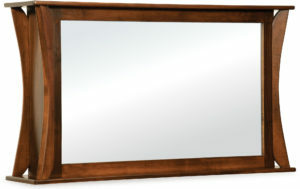 A sleek finish and sturdy construction meet in the Jacobson Wall Mirror. 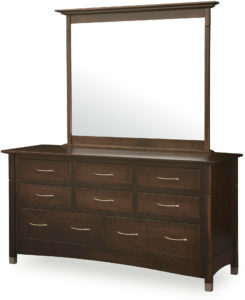 A gracefully-curved top accents the Landscape Dresser Mirror. 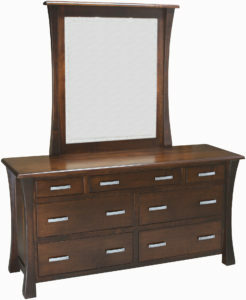 A rich wood finish accents the Larado Dresser Mirror. 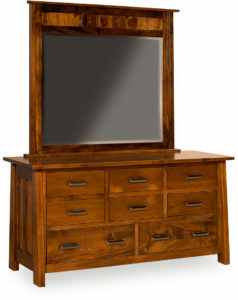 Fine Hickory craftsmanship accents the Palisade Dresser Mirror. 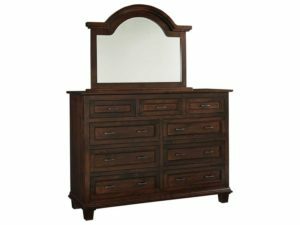 The impressive Royal Mission Dresser Mirror is a perfect home furnishing. 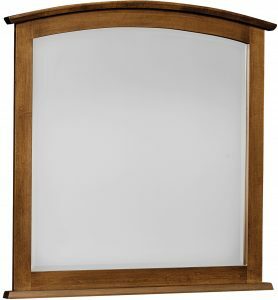 Sturdy wood craftsmanship marks the Tri-View Dresser Mirror. 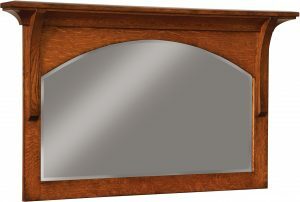 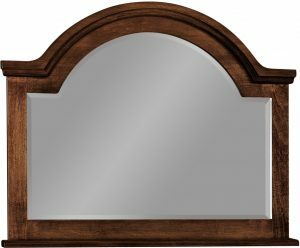 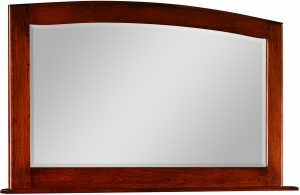 Sturdy wood craftsmanship marks the Tri-View Dresser Mirror with Cap. 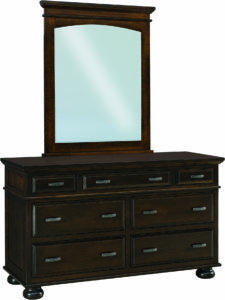 A sleek, rich finish highlights the beautiful Venice Dresser Mirror. 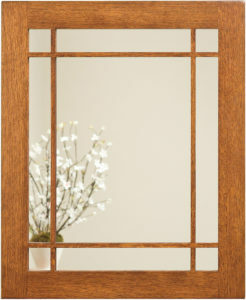 Simplicity and style meet in the Venice Square Mirror. What do we mean by dresser mirrors being made exclusively for each dresser? 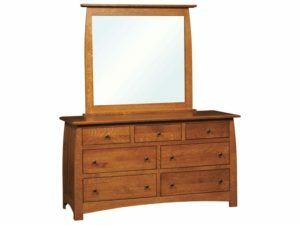 Simply this: Whatever special features our designers included in the dresser itself or other pieces in the family are reflected in the mirror. 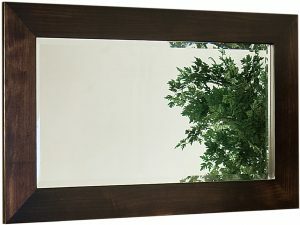 Like the arch in the Arts and Crafts mirror. 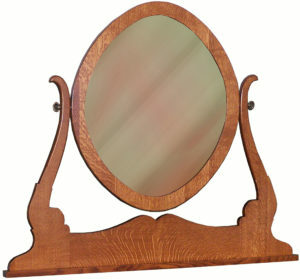 Or the slats and corbels in the Royal Mission mirror. 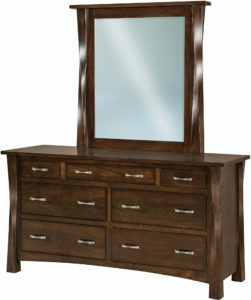 No wonder we’re so confident you’ll love how the dresser mirror will make your dresser sizzle! 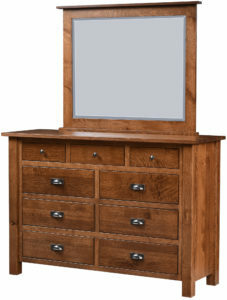 That said, you can still customize your dresser mirror to your liking. 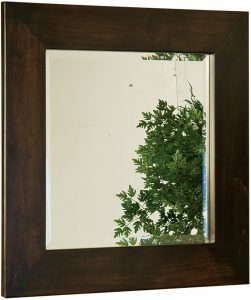 Just tell us your ideas. 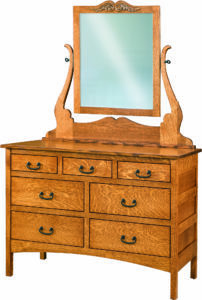 And our craftsmen will ensure the dresser mirror you choose will reflect your likeness – in more ways that one!